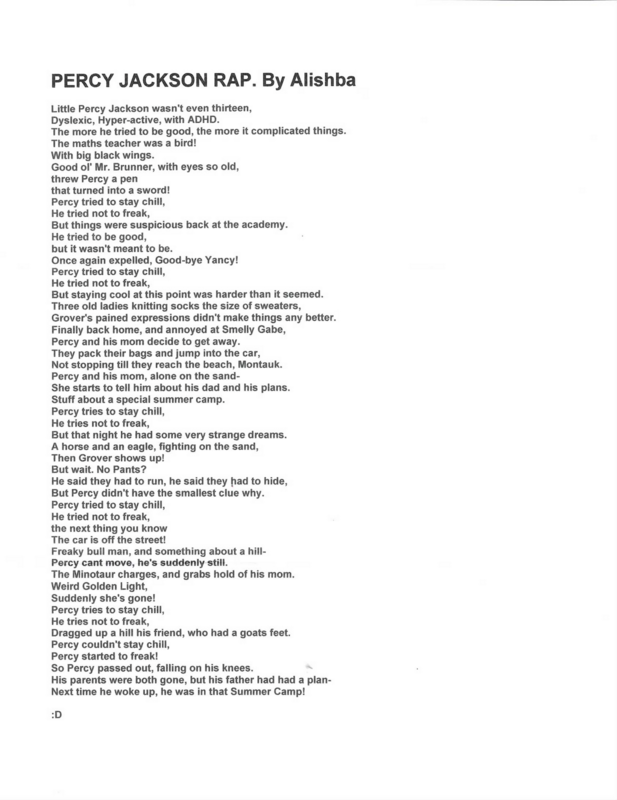 "The Lightning Thief" inspired rap! xP. RR quote: "This comes from a girls' high school in Islamabad where the seventh graders read The Lightning Thief each year. 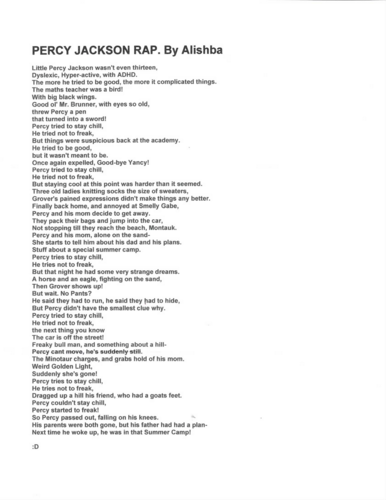 One of the students, Alishba, wrote this wonderful rap song based on Percy Jackson. I Liebe it!". HD Wallpaper and background images in the Helden des Olymp club tagged: percy jackson rick riordan rap fan song lightning thief. This Helden des Olymp photo might contain zeitung, papier, magazin, tabloid, rag, zeitschrift, lappen, and boulevard.